The Koolance VID-280 is a combined GPU and memory cooler for high-end video cooling of GeForce 8800GTS 320MB and 640MB (90nm) in single or multi video configurations. 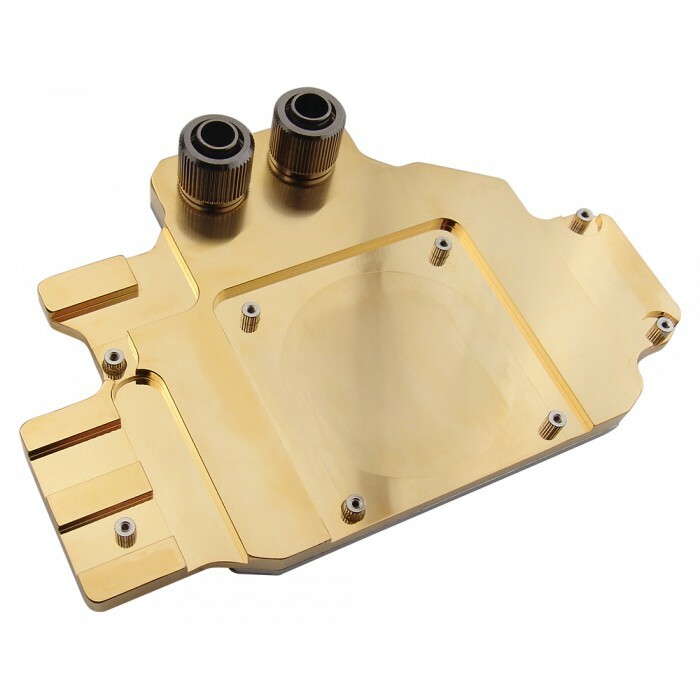 It combines a full gold-plated solid copper cooler which targets all primary heat-producing regions of the 8800, including the voltage regulators. Put heatpipes to shame. The CHC-120 is designed to provide high efficiency liquid cooling for motherboard northbridge chipsets. Versatile mounting hardware allows the CHC-120 to cool almost all types of mainboards, or heat sources up to approximately 120W. 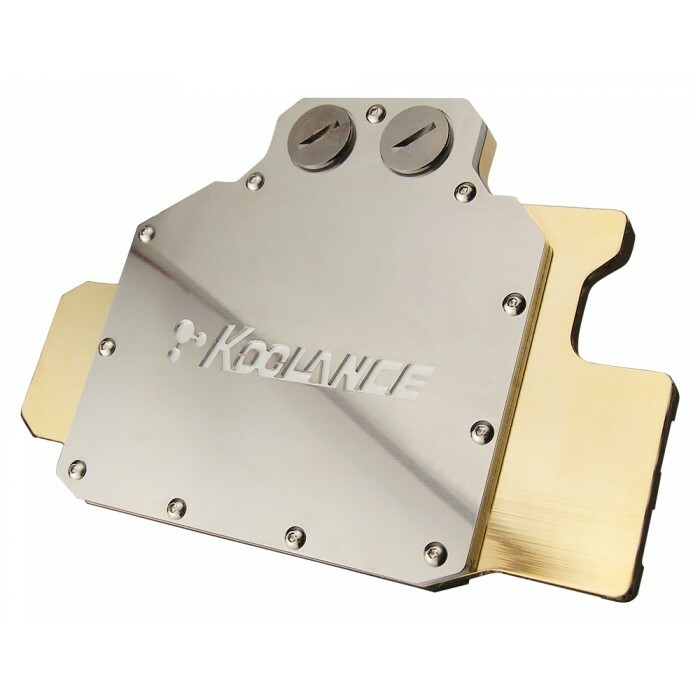 Materials are solid copper with 24k gold plating and anodized aluminum top. G 1/4 BSPP fitting threading. On certain motherboards, the CHC-120 may conflict with PCI-Express cards if placed on a southbridge chipset (due to the fittings). The CHC-120-V06 is instead recommended.